For the most current and comprehensive description of our work and the projects we will undertake, please read our Strategic Plan. Water Will Define New Mexico's Future, and New Mexico's Waters are in Crisis. It is a crisis caused by a combination of factors: 1) a misguided state government that promotes economic growth through weakening of safeguards -- placing human health and clean water at risk; 2) a sustained drought punctuated by extreme storm events; 3) unlimited growth regardless of water shortages; 4) watersheds degraded by overuse; and, 5) the gutting of the federal Clean Water Act. 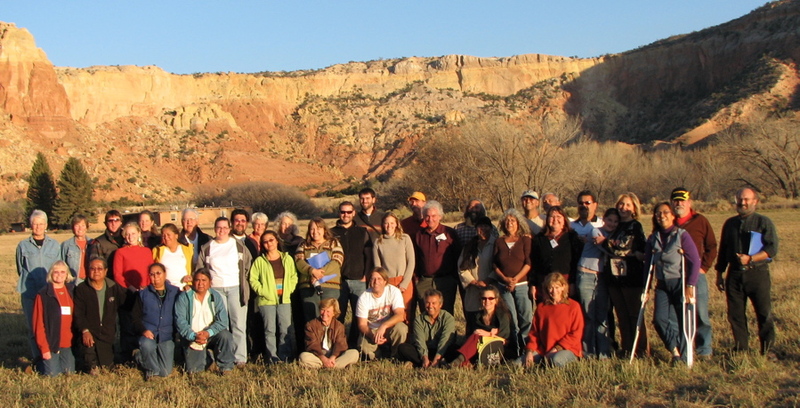 Since 1988, Amigos Bravos has fought diligently and successfully to protect human health and New Mexico’s waters. 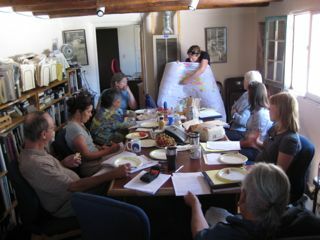 We are a feisty group of dedicated social and environmental activists that produce on-the-ground improvements and consistently counter corporate proposals that threaten community water resources. We are not shy about taking strong action to ensure that future generations inherit a healthier and safer world. What does Amigos Bravos do? 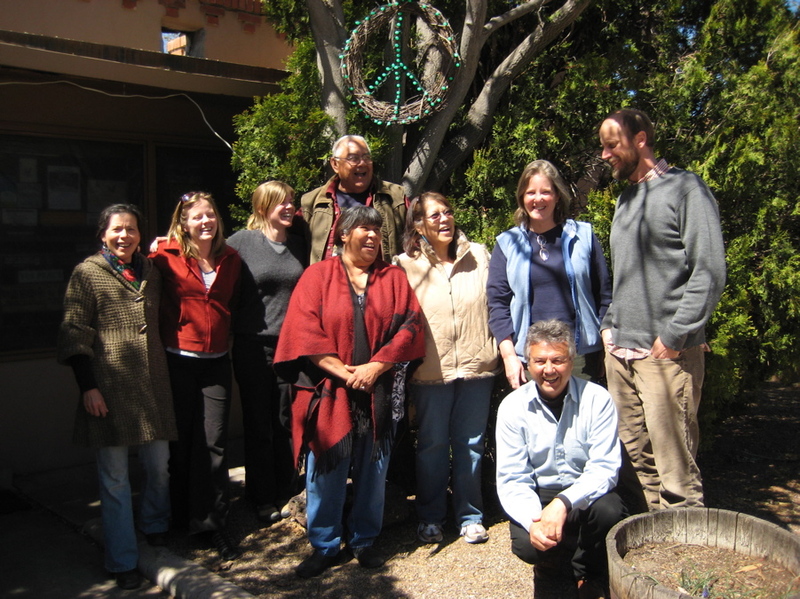 We build coalitions – often bringing people to the table who might not otherwise work together – to come up with creative and practical solutions to protect and restore New Mexico’s most precious resource –water. We stop industry from dodging regulatory safeguards and we hold all polluters accountable. We hold government accountable to the regulations it is meant to uphold, (the catastrophic oil spill in the Gulf of Mexico is an example of what happens when lax government oversight meets industry greed). We provide Clean Water Act trainings and technical assistance to river stewards and environmental justice activists throughout the state. We are the Clean Water Act specialists in the state and we serve as vice-chair of the national Clean Water Network. We interpret regulatory and legal jargon for public and media understanding. 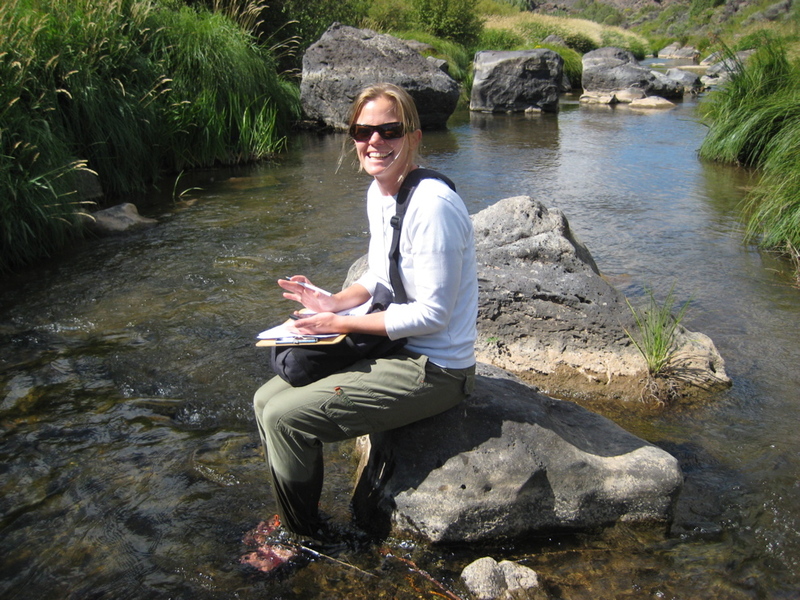 We design and organize community water quality monitoring initiatives. We organize in communities to restore water and watersheds – and, we organize trash clean-ups along rivers. We educate decision-makers – which is what industry does 24/7. What would New Mexico look like if Amigos Bravos did not exist? The Guadalupe Mountains, adjacent to the first Wild and Scenic River in the nation, would be the site of a giant mine tailings dump. Thanks to Amigos Bravos, the area has been permanently withdrawn from mining activities. There would be no hope of cleaning up the Molycorp/Chevron Mine. Thanks to Amigos Bravos, it is now a Superfund site initiating an $800 million cleanup effort. The Red River downstream from the Molycorp/Chevron mine would be a dead river. Thanks to Amigos Bravos, 8 miles of river – once a blue ribbon trout fishery – that was declared “dead” in the early 90’s, is being restored. The 100,000 acre Valle Vidal, considered New Mexico’s Yellowstone, would be an industrial coal-bed methane gas production wasteland. 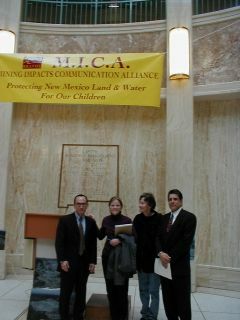 Thanks to an Amigos Bravos-led campaign, the area is now protected from all mining operations by an act of Congress. The Rio Grande from Taos Junction Bridge to Velarde would not be protected under the Wild and Scenic Rivers Act. The Rio Chama, downstream from Christ-in-the-Desert Monastery, would have been developed for intensive RV use. Thanks to Amigos Bravos, the Chama River has retained its wild and scenic character. A watershed restoration plan to address rising temperatures in the Rio Pueblo de Taos would not be in process. Fencing and river crossings that help protect the upper Red River watershed from impacts of 4-wheelers and cattle would not be in place. Raw sewage from septic tanks in Upper Ranchitos would still be leaking into the Rio Pueblo de Taos. Copper Hill, on the Rio Embudo, which is a significant tributary of the Rio Grande, would be the site of a large cyanide leach mining operation. 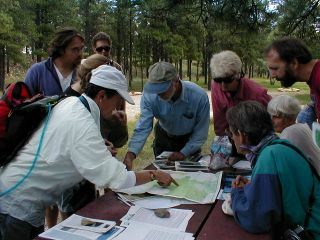 The Rio Santa Barbara in the Pecos Wilderness Area would not be protected from degradation. 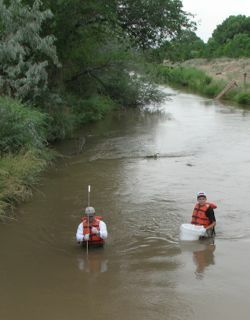 Amigos Bravos secured protection of the Rio Santa Barbara as New Mexico’s first Outstanding National Resource Water. 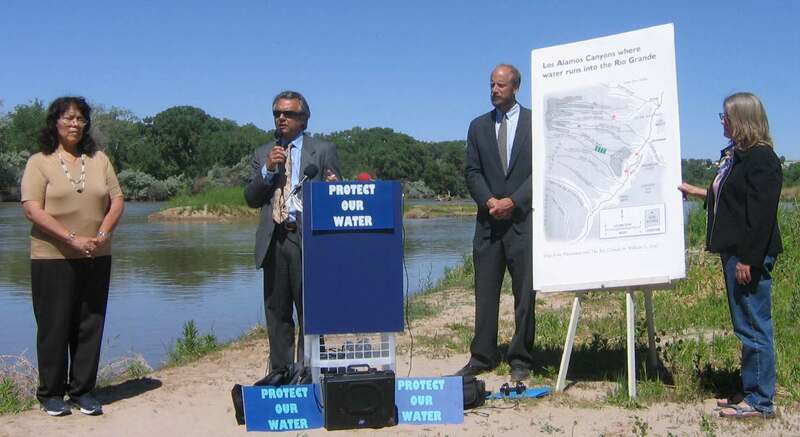 Los Alamos National Lab would not be in the process of cleaning up 400 of the worst of their radioactive dump sites ¬– arroyos loaded with toxins that have been leaking into the Rio Grande and threatening Santa Fe’s drinking water. No one would be advocating on behalf of all rivers and waters at meetings of the New Mexico Water Quality Control Commission -- and countering industry efforts to downgrade water quality standards. Public input in relation to new regulations for all discharges in the state, such as from the Santa Fe Wastewater Treatment Facility. No one would be advocating on behalf of all rivers and waters in New Mexico regarding EPA’s new stormwater control programs. Stormwater is the greatest conveyance of pollutants to all rivers, especially urban rivers like the Santa Fe River. There would be no environmental group working with the City of Albuquerque to address storm water runoff into the Rio Grande. No citizen group with technical and legal expertise would be attending the Bernalillo County Water Utility Authority meetings to hold them accountable to concerns about clean water and water conservation. No one would be in the process of organizing citizen monitoring of water quality in the low-income Mountain View area, in relation to the Albuquerque Waste Water Treatment Facility. Over 500 hundred high school students would not have been trained in how to monitor for water quality. Those students would not have been empowered to do what they then did, which was to discover pharmaceutical products in the drains and ditches of Albuquerque, and to organize a press conference to release their findings to the public, thus embarrassing the City into taking action. Albuquerque now has a whole program aimed at educating the public on how to dispose of pharmaceuticals safely. 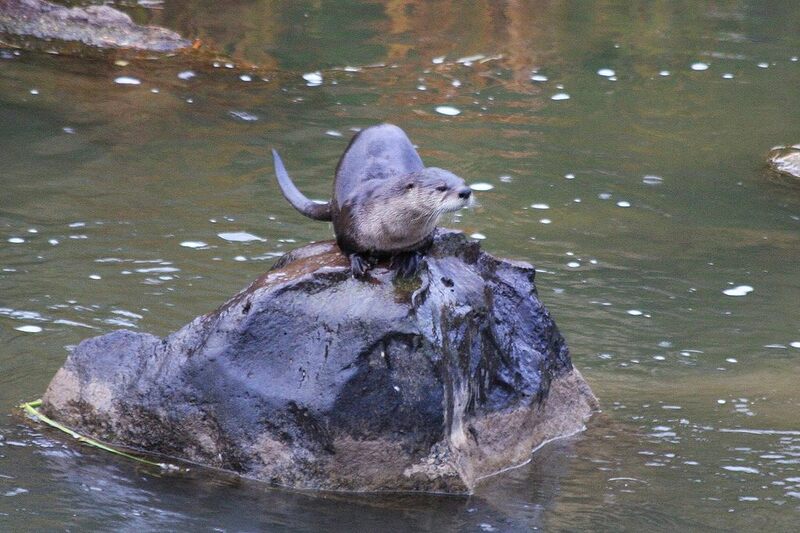 33 River Otters would not be playing in the rivers and romping on the banks of streams in New Mexico, again. Please help us continue this work by becoming a member of Amigos Bravos, now!